Elephant Rock, Ft. Bragg, CA. We visited Ft.Bragg, up in the Mendocino County, California back in March. We had rented a vacation home (very nice!) with its own private beach access (very very nice!). 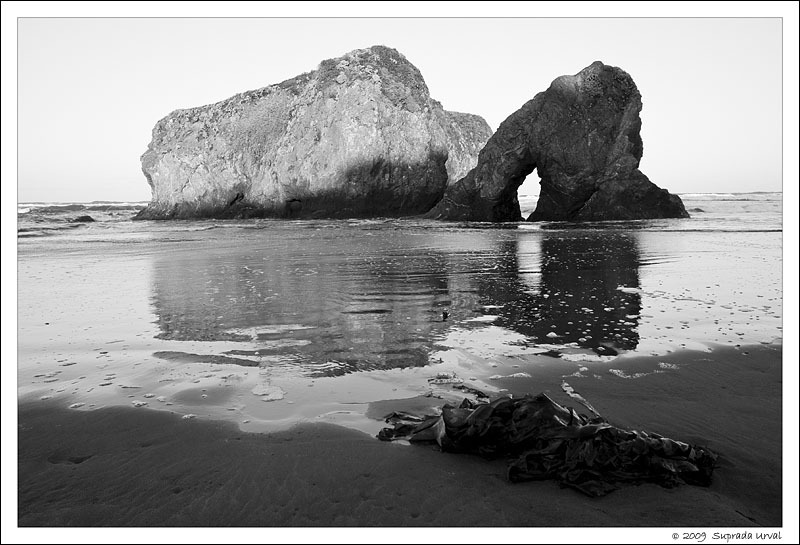 At dawn, I was out on the beach photographing this rock formation called \”Elephant Rock\”.